The Fabulous @CindieChavez is in the Divine Feminine Spotlight. Welcome to the Transformation Goddess Divine Feminine Spotlight for August! Today it’s my pleasure to introduce you to the magical Cindie Chavez. 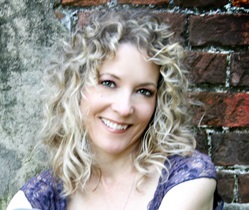 Cindie is an intuitive life and relationship coach who partners with creative, busy women who struggle with overwhelm and want to connect with their innate feminine spirituality and create a life full of love and magic. Cindie is a Transformation Goddess! 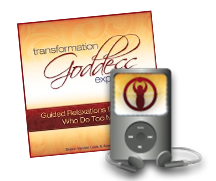 Divine Feminine Spotlight conversations can be enjoyed by clicking on the player below, or easily downloaded to your iPhone or mp3 player via the Transformation Goddess Podcast at iTunes. Below you’ll find a short summary of Cindie’s interview. Please give a listen to experience the full energetic connection of our transformational conversation. I know you are going to enjoy Cindie’s energy. Please share a Significant Transformation you’ve experienced in the last 12 months. The biggest transformation I’ve had in the last 12 months has to do with being really open about what I do, and being okay with calling it Magic. I believe that Magic happens when we take intentional action to bring the metaphysical realm of wishes, thoughts, dreams, and ideas into the physical realm. I really get excited about supporting people in making their own Magic happen – whatever it is that they are wishing, hoping, dreaming about. Helping them to bring it into the physical realm, into their every day life in the easiest, most delightful way possible. Radical transformation can happen very quickly when we have the right support, and it’s always magical to see it unfold. I count it an honor and a privilege to hold the space for my clients to experience that kind of transformation and Magic. How do you relate to your body, sexuality and power? I believe that they are all connected and the more I listen to my body the sexier and more powerful I seem to be! Something that will supercharge your ability to tap into your innate feminine power is to really honor your feelings. I call feelings and emotions “the voice of love”, because I believe that feelings and emotions are the language that your higher, wiser self uses to speak to you. And that is through the body – our feelings reside in our body. Something I find myself telling my clients all the time is “Your feelings are a miracle! All of them.” It’s so important that we honor ALL of them. Society has trained us that some feelings are “bad” or “unacceptable” when in reality it’s just the way we react to those feelings that can at times be inappropriate – the actual feelings themselves are always giving us important information. That’s how we tap into our power – by learning to listen, trust, honor, and respond appropriately, to our feelings. 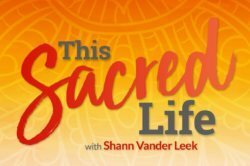 What are your favorite sacred feminine rituals? I love creating rituals out of every day tasks. I love being really mindful in my self-care so that even washing my face or putting oil on my skin seems like a little ritual. In fact, mindfulness raises everything to the level of ritual in my opinion. So much of our self-care goes by the wayside because we don’t give it priority. I remember talking to a client once who was a nurse and working 12 to 16 hour shifts, I asked her how often she got a drink of water at work and was shocked to hear that she sometimes had only 1 or 2 opportunities to get a drink of water in an entire shift. I believe that when we allow ourselves to create rituals around our self-care it raises the level of importance and we’ll begin to honor our bodies and take better care of ourselves. So our life can be a sort of ritual. These actions do not have to be elaborate, it’s the intention that makes them powerful. Being mindful, being in the present moment. All of our power is in the Now. How do you embody being a sovereign Goddess? I embody being a sovereign Goddess by remembering that every moment is perfect, that everyone is doing the best they can at any given time, and by listening to my body and trusting my intuition and honoring my values. Honesty, Integrity, Beauty, Spirituality are some of the values that are so important to me, by honoring them in everyday life I am supporting my sovereignty. Integrity is so essential. Every time we do what we say we are going to do we become more sovereign, more powerful, more trustworthy. We all have our own value system and when we take intentional action to honor those values we automatically become more sovereign, more powerful. What was your inspiration for Your Book? My inspiration for my book was the realization that “everything we want is on the other side of our broken heart”! Anytime we are in emotional pain it will just keep popping up and getting in the way of what we are trying to create. So I recognized that healing up the wounded places (large or small) in our hearts is the first step to getting what we want in all areas of our lives. 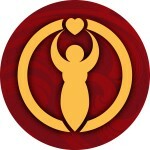 Listening to our bodies, honoring our feelings, emotions, and values, taking good care of one’s self, learning how to love our selves in the real world – not just saying that we love ourselves but taking the actions that prove our self-love, prove our sovereignty, prove our worth – all of these things have the two-fold benefit of healing those wounded places and bringing more of what we desire into our reality. Please tell us about your FREE gift! 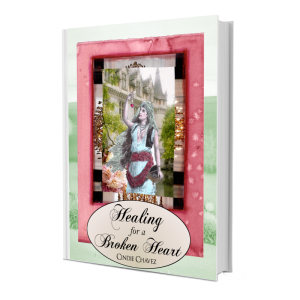 Healing for a Broken Heart is short, sweet, and most of all very practical. When we are experiencing emotional pain sometimes it feels like it will never get better. I wrote this little guide because I wanted to help people heal and begin to experience more love and more magic in their lives – in a very practical way. The guide is full of gentle steps that are easy to implement even when we feel debilitated by emotional pain. Claim your copy at www.cindiechavez.com. How can our readers and listeners contact you? 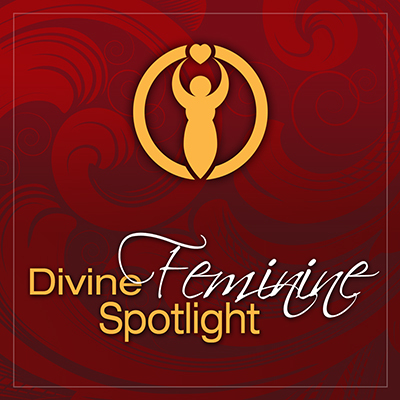 If you enjoyed our conversation, Visit the Divine Feminine Spotlight library to meet the rest of the goddesses who’ve shared their wisdom (give aways) in our popular podcast series. I love hearing from other women who are in touch with their inner Goddess and channeling magic through their lives. Beautiful blessings!! Such a wonderful interview. Full of wisdom and heart…..felt very connected to the message. I say, “Forget society!” Let’s all follow our hearts like Cindie and Shann! I really enjoyed reading what Cindie had to say. I think it is important as women to always be ourselves, just the way we are, with no judgements passed. Thank you–Shann for having Cindie on the Tranformation Goddess page.